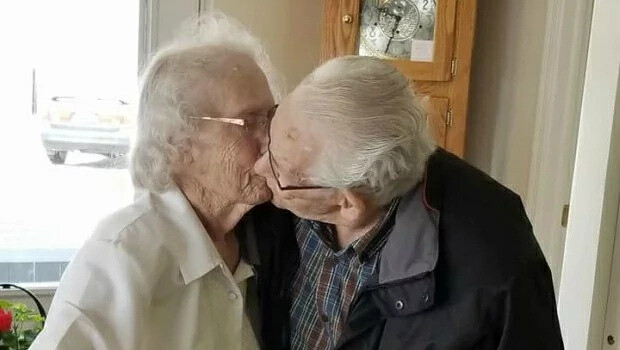 Couple, Herbert, 90 and his wife, Aubrey, 89 who have lived together for 70 years have been separated from each other for the first time in the festive season. Herbert was moved from the care home he lived with his wife because he developed dementia, according to The Telegraph. Workers of the care home called for the transfer to a more equipped care home in order to handle the growing health condition. In disagreement to the development, the couple's daughter, Dianne Philips, protested the transfer, describing it as "unethical" and "cruel." When talking to my parents I listened to my mother weep and I could hear my father in the background. Once a resident is beyond our care, [the department of social development] reassesses that resident to determine what level they are. At that point I have to follow those rules and regulations set by the government. In fact, it’s against the law for me not to follow those rules.